While the Colombian construction industry registered growth in real terms of 3.7% and 4.1% in 2015 and 2016 respectively, the country’s construction industry is expected to experience a slowdown in output value during the early part of the forecast period (2017-2021). This reflects both weak economic activity and uncertainty generated by ongoing corruption investigations. 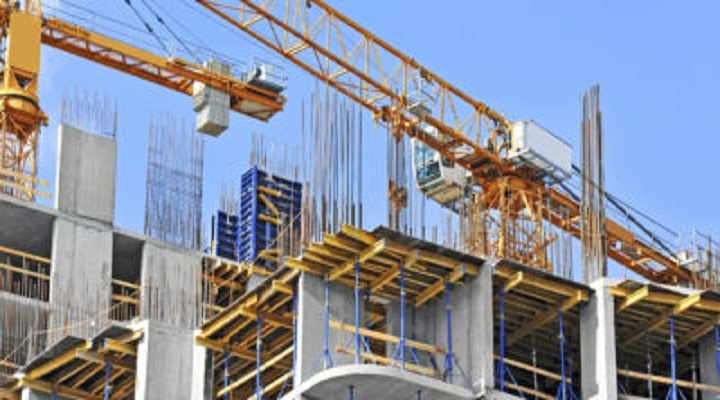 Weak oil prices and political instability in the wake of the upcoming presidential election in 2018 are also expected to adversely affect the growth of the construction industry in the early part of the forecast period.Although the probable weak performance of the oil and mining sector is expected to hamper growth throughout 2017-2018, the construction industry’s value is expected to improve in the latter part of the forecast period. Nevertheless, the pace of growth will remain slow, averaging 2.8% a year in real terms during 2018-2021. This report provides a comprehensive analysis of the construction industry in Colombia. It provides Historical (2012-2016) and forecast (2017-2021) valuations of the construction industry in Colombia using construction output and value-add methods,Segmentation by sector (commercial, industrial, infrastructure, energy and utilities, institutional and residential) and by sub-sector,Breakdown of values within each project type, by type of activity (new construction, repair and maintenance, refurbishment and demolition) and by type of cost (materials, equipment and services)and Detailed profiles of the leading construction companies in Colombia. It Identify and evaluate market opportunities using Timetric’s standardized valuation and forecasting methodologies.Assess market growth potential at a micro-level with over 600 time-series data forecasts.Understand the latest industry and market trends.Formulate and validate strategy using Timetric’s critical and actionable insight.Assess business risks, including cost, regulatory and competitive pressures.Evaluate competitive risk and success factors. Timetric expects the infrastructure construction market to retain its leading position over the forecast period, with a share of 41.4% of the industry’s total value in 2021. To improve and expand the toll-road network across the country, reduce travel time and increase access, Agencia Nacional de Infraestructura (ANI) is seeking to invest COP76.4 trillion (USD 25.0 billion) on road infrastructure projects under the 4G Road Infrastructure Program by 2021.The government is focusing on the development of the energy infrastructure, with an aim to improve country’s power generation capacity. According to the government, the country’s total installed electric power generation capacity is expected to increase from 16,501MW in 2016 to 25,188MW in 2028. The government is planning to develop various power generation projects across the country, with a particular emphasis on hydro power.Timetric expects residential construction market output to record a forecast-period CAGR of 5.23% in nominal terms, driven by public and private sector investments in the construction of new residential buildings to meet the increasing demand for housing. Under the Housing Development Program, the Ministry of Housing City and Territory plans to develop residential buildings in Colombia. In order to provide low-cost housing facilities to people, the program involves the construction of 450,000 housing units across the country and related infrastructure by 2021.To improve the transport network in Bogot,the government is focusing more on the improvement of transport infrastructure in a bid to reduce traffic congestion, fulfill the demands of the growing population and support economic growth. Accordingly, in January 2017, the government allocated COP15.0 trillion (USD 5.1 billion) for the development of urban transport projects in the capital, with a particular focus on the metro line project.The government’s commitment to pursuing quality development and continuous expenditure on the education sector is expected to support the market’s growth. The development of the country’s education sector is a government priority. Accordingly, the government allocated 15.7% of its 2018 budget-COP37.0 trillion (USD 12.6 billion)-to improve the country’s education system.